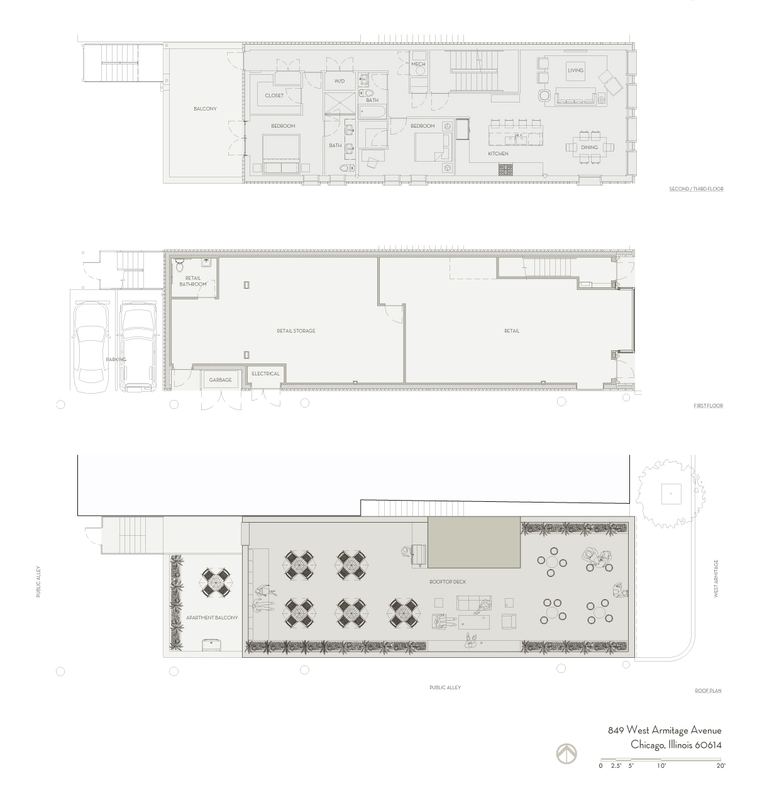 The program was to design a building maximizing the available floor area creating a large, ground floor retail space, and two two-bedroom/two bathroom residences. 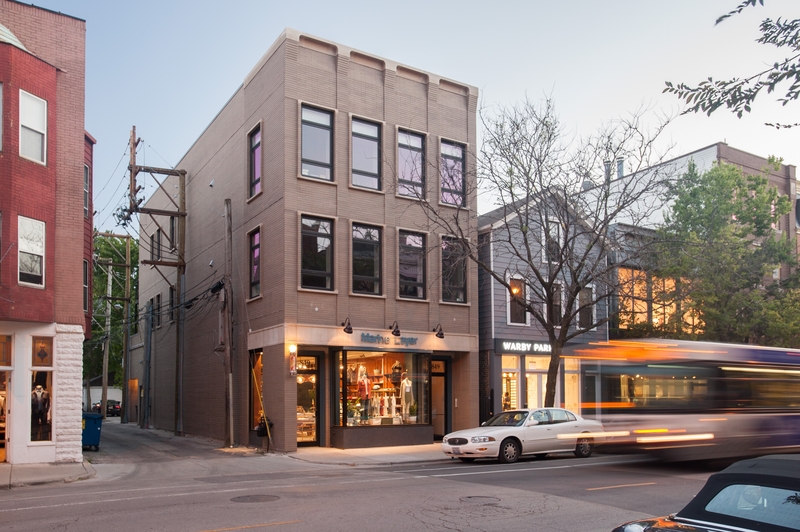 More importantly however, the property sits within the City of Chicago’s Armitage-Halsted Landmark District. Thus the design of the new building needed to work contextually within the historic features and fabric of the District. 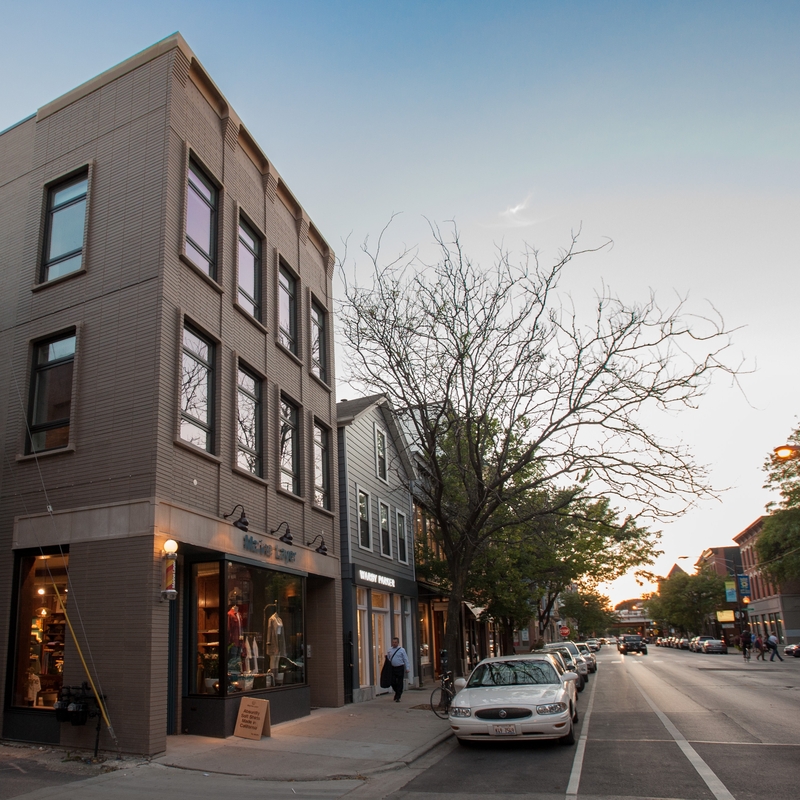 We strove to create a modern masonry structure that respects the traditional nature of the neighborhood, but with clean detailing, large windows and storefronts. 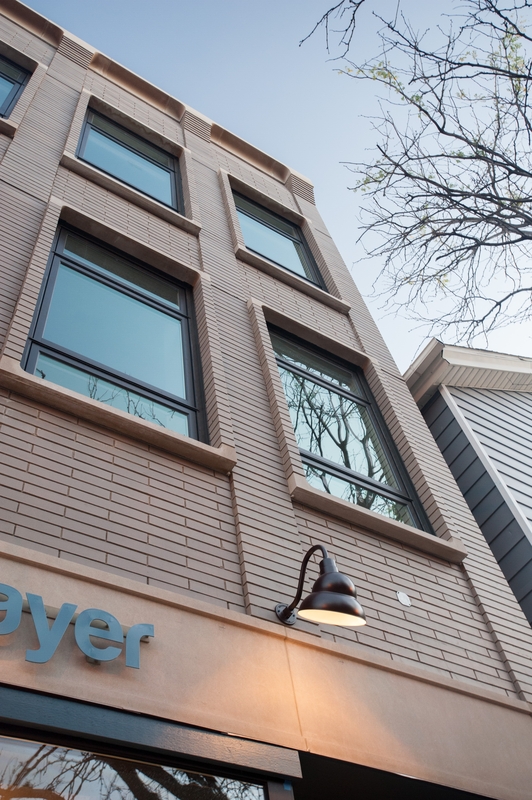 We chose to use Emperor-size brick (same height but double the width of standard brick) because it allows for expressive masonry detailing in a modern way. For instance, stack bond piers anchor the corners and flow vertically between the windows on the upper two floors; then progressively corbel away from the building at the “cornice”. In turn, the field brick between the piers and above the windows corbel inward. This juxtaposition creates great depth and shadow at the top of the building and is capped by a limestone band that appears to have been carved out by an ice cream scooper. It truly culminates the building in an elegant, modern way while respecting the traditional cornices in the District. Similar layering and framing of brick and curving limestone sills and heads occur at the windows as well, again creating depth and shadow. Building within a Historic District was certainly a major challenge, however we encountered an equally significant issue. Existing ComEd poles and wiring sat too close to the property line for construction. They had to be moved, adding significant costs, delay and another experience to building in the urban environment.